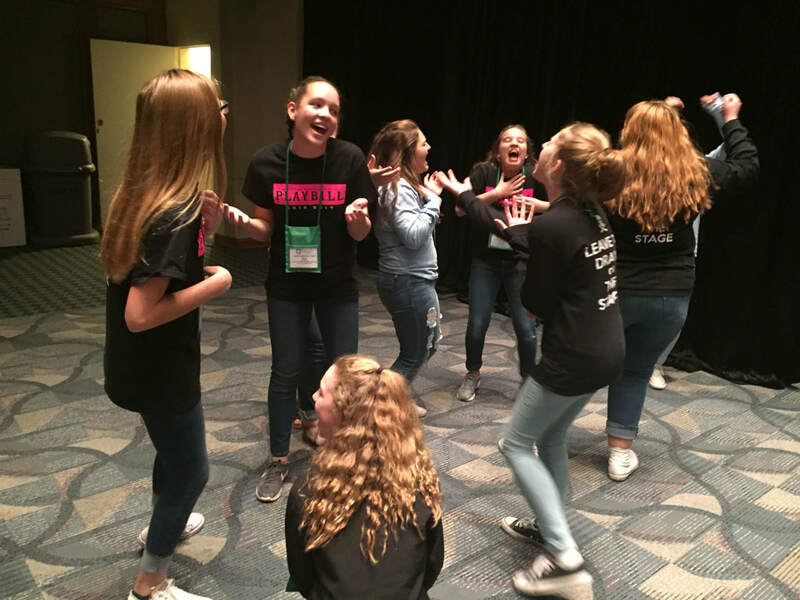 ​Junior High Thespian Troupes are invited to the Texas Junior Thespian Festival North! You do not have to have a chartered junior troupe to attend this event. $15.00 IE Registration fee required; Black clothing required for all IE performances. Teachers - a Teacher Lesson Swap Shop is available for you during programming! Download the Guidebook App for real-time schedule and information. For questions regarding Junior Festival Preview Day, contact Jenae Glanton, Junior Thespian Festival Director. ​This means that schools may have six (6) performance individual events and seven (7) technical individual events - in whatever combination works best for the troupe. If there are three (3) monologues, one (1) duet, and two (2) solo musicals, that's okay! If a troupe has four (4) stage managers, one theater marketing, and two (2) costume designs, that's okay too! Edit the Director's packet according to your troupe. Full festival Juniors will compete in regular Individual Events, not Junior Festival IEs. ​Jenae Glanton, Junior Festival Chair, is a graduate of Texas Woman's University and holds a M.A. and a B.A. in Theatre. She taught Middle School Theatre for twelve years. She currently serves as Theatre Director at Rockwall-Heath High School in Rockwall ISD. 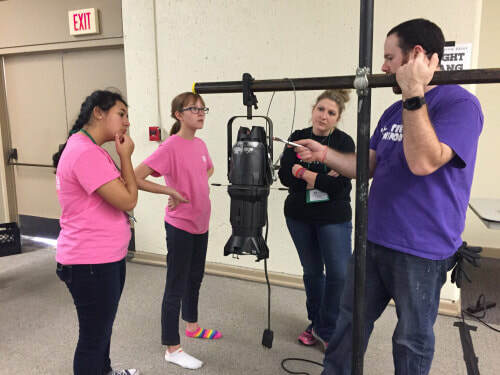 Jenae has directed over thirty productions at the middle school level, earning ten Middle School UIL One-Act Play District Placements. She is an Actor's Equity Association Membership Candidate and has been seen on stage in several professional productions in Dallas-Fort Worth Metroplex theatres. In 2015, Jenae received the TETA K-8 Educator of the Year and was also named the Rockwall ISD/Maurine Cain MS Teacher of the Year. Jenae is an Honorary Lifetime PTA Member and a member of the Collin Theatre Center Hall of Fame. 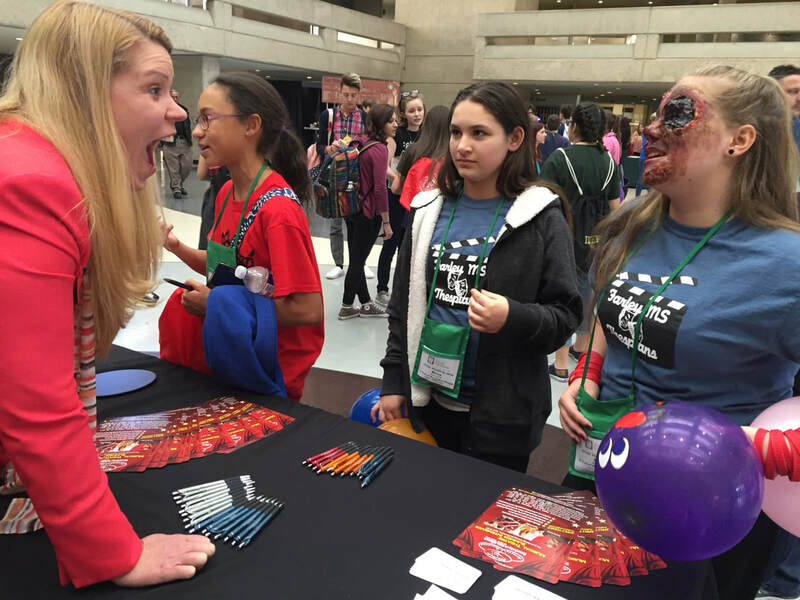 She holds a seat on the Texas Thespian Board and serves the Texas Educational Theater Association as K-12 Committee Past Chair.